Browsing Category "Study meterial For SSB download"
aspires for success in his career, an individual who wishes to have a bright future a competitor who is keen to top the list, must, therefore, master the technique of doing the best in the interview. 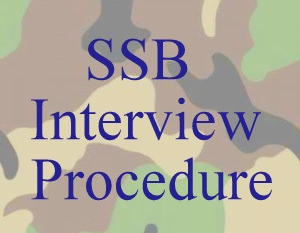 The aim of an interview at the SSB is to assess the leadership or “Officer-like”Qualities of the candidate by means of a directed or purposive conversation between the candidate and the Interviewing Officer(IO), In addition to appraising the present level of the candidate, the IO tries to evaluate the training potential of the candidate. The question at the interview, therefore, will be so directed as to allow the candidate to automatically show his leadership ability in his answers. Services Selection Board (SSB), is the Personality and Intelligence Interview spread over 5 days which scientifically analyses each candidate's potential and compatibility for commission into the Armed Forces of India. There are many ways of being Commissioned as an Officer in Indian Armed Forces, both for civilians (after 10+2, graduation, post graduation), as well as for Serving Personnel. Whatever be the mode, SSB is the step all have to clear, except for the Medical Corps. There is no limit on the number of attempts that can be made and the SSB Assessors encourage candidates to appear again for SSB. The interview exercise is mainly a Psychological tests of the personality quiz of the candidate, to gauge his/her potential as a future Officer in Indian Military. The tests conducted by the SSB aim at selecting individuals with OLQs (Officer LikeQualities). The selection system is designed over a five day process, Day 1 is the screening test, Day 2 is the Psychologist Tests, Day 3 & 4 is the group tasks and Day 5 is theConference(Results). The personal interview will be conducted either in day 2,3 or 4 during the post lunch or evening hours. These qualities include Effective Intelligence, sense of responsibility, initiative, judgment (under stress), ability to reason and organize, communication skills, determination, courage, self-confidence, speed in decision-making, willingness to set an example, compassion and a feeling of loyalty to the nation. Most of the tests require average intelligence. The SSB attempts to gauge the natural responses of the individuals. The tests are graded into various categories of both individual and group variety and each batch of candidates goes through the subtle testing pattern in the course of a few days. They are under observation not only while they perform in various psychological tests but even as they conduct themselves during the course of their stay at the SSB headquarters, where they are billeted for that duration. The SSB Board is not concerned with the number of vacancies. Its responsibility is to assess and then, recommend. After recommendation, the candidates appear for medical examination and after that is the Merit List. Those who finally make the grade join for training and hence become Commissioned Officers. Origin of these type of testing belongs to first world war era. In the First World War, large numbers of casualties on battlefields necessitated recruitment of best fighting talent in armed forces. For this need, psychologists designed some scientific tests which assesses candidate's Officer Like Qualities (OLQs). Over the years SSB testing has been improved based on feedback and has been proved to be an effective and accurate way of selecting candidates who are capable of being at least an average officer after training, although SSB is the world's toughest army test. · Pick-up and Drop from reporting Railway Station. These and some other facilities for candidates to ensure that they feel at home. Procedure to Join Indian Armed Forces as an Officer. The candidates who are declared by UPSC as having cleared the written exam or recommended by Preliminary Interview Board (PIB) in case of Territorial Army (TA), as well as those shortlisted in Direct Entries are called through Call Letters to appear for SSB (Allahabad/Bangalore/Bhopal/Dehradun/Mysore/Varanasi/Coimbatore/Gandhinagar) at the Centre allotted to the candidate. There have been instances when the call-up letter fails to reach the candidate and the onus lies on the candidate to be alert and contact the office after a reasonable amount of time if the letter is not received when UPSC written has been cleared. This is similar for service candidates, except that their movement is intimated to their seniors via movement orders. What are the Officer Like Qualities that a SSB Aspirant should have?? 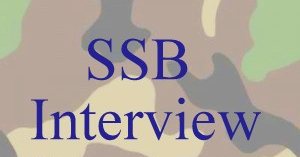 What are SSB Interview and its Aims? Guys get a general idea of how to write a PPDT story on a person Addressing a group of People Under a Tree scene. This is one of the most important PPDT and TAT picture as you will have to generally write a story on addressing case like this. One person addressing a group of people under the tree. Guys i am putting this PPDT story for you so that you can have a general idea of how to write a PPDT story on a person standing in front of mirror scene. This is very general picture and generally shown in all Psychology: TAT pictures, prepare for how to write a PPDT as well as TAT story from here, THE BEST WAY TO PREPARE FOR BASIC SCREENING TEST: PPDT IS TO PRACTICE MORE AND MORE AND BOOST YOUR WRITING SPEED. Guys who are preparing for General Competition Exams can also download this book it will help you a lot. Download the pack of 180 situations comes in SRT: Situation Reaction Test which is one of the test in psychological testing. Situation reaction test is also know as SRT is a series of 60 situations, candidates are required to answer as many as they can in 30 mins. The best way to perform well in SRT is to Learn 200 words given by me in practice sets and there positive sentences. Write the solution to the point. Do not write multiple actions. Avoiding skipping any situation in between. Do not contradict your response for similar type of situations. Write practical and logical solutions.